If you dream of a fairytale honeymoon somewhere exotic, surrounded by gorgeous scenery and with a hint of magic in the air, then India should be on your list. 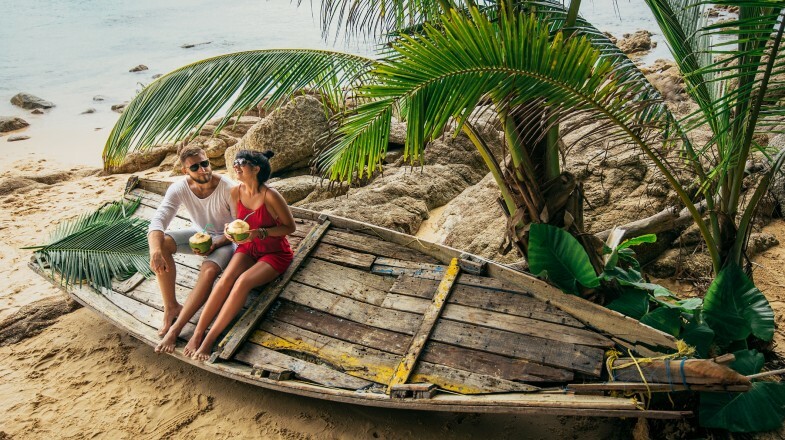 Whether you choose Kashmir and the mystical far-north, or slow-paced Kerala in the south, or the remote paradisiac islands of the Andamans, a honeymoon in India delivers everything you could hope for — and so much more. 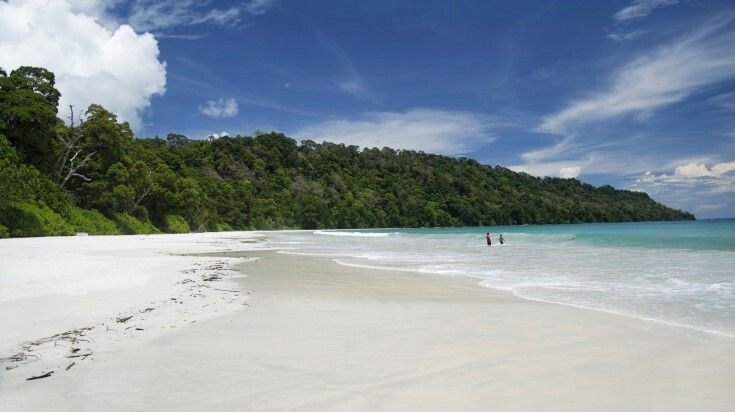 Lying over 1,000 km from the east coast of India, closer to Myanmar and Thailand than to the Indian mainland, the Andaman Island archipelago is one of the world’s most remote spots. The islands are not easy to reach and tourism is still in its infancy there, but this is exactly what makes this such an enchanting honeymoon destination. A stay in the Andamans offers you idyllic beaches, world-class diving and the chance to spend time alone together as far away from the bustle of a daily routine as it is possible to be. Taj Exotica. If you are looking to spare no expense during your stay in the Andamans, Taj Exotica on Havelock island is the obvious choice. This perfectly located hotel offers a winning combination of luxury, service and scenery for the quintessential honeymoon experience. Barefoot at Havelock. For a cozy mid-range option, the Barefoot at Havelock, also on the popular Havelock Island, is a wonderful option. This hotel, located right on a stunning stretch of beach, exudes distinctively Indian character and charm. Emerald Gecko. For a budget-friendly accommodation option on the Havelock Island in the Andamans, look no further than the Emeral Gecko. An eco-resort in the truest sense, Emerald Gecko is made of bamboo rafts and offers basic amenities such as hot water, outlets for charging, ceiling fans and mosquito nets. Ideal length of stay: Five to seven days. Since the Andamans are quite a challenge to reach, you’ll want to stay at least five days to make the journey worthwhile. There’s nothing much to do there apart from enjoying the beaches, the sea and each other’s company, so perhaps more than seven days would be too long — unless you plan to do several days of diving. Jaipur also called the Pink City, is home to vibrant bazaars and evocative architecture and is one of northern India’s most visited destinations. 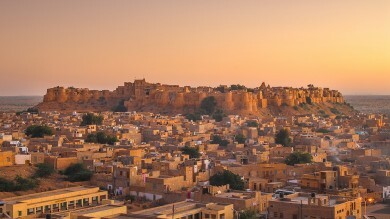 Set against the scenic backdrop of the Thar dessert, Jaipur offers newlyweds stunning scenes of the sandy landscapes paired with the opportunity to explore the architecture and history of its royal past. 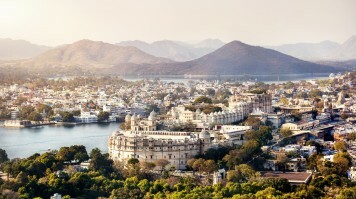 Udaipur, on the other hand, is simply Rajasthan’s most romantic city. Its grand palaces and forts are a complimenting contrast to its many lakes and surrounding hills. A trip spent discovering the hidden wonders of these two timeless treasures would make for an unforgettable honeymoon experience. Oberoi Rajvilas, Jaipur. In Jaipur, the perfect place to stay for couples looking for unrivalled luxury is the Oberoi Rajvilas; surely one of the most beautiful hotels you will find anywhere. Umaid Bhawan. For a slightly less expensive option that still has plenty of atmosphere, the beautifully-decorated Umaid Bhawan heritage-style hotel in Jaipur is a good option. Lake Pichola Hotel, Udaipur. In Udaipur, if you want the most perfect romantic once-in-lifetime accommodation, Pichola Hotel on the lake is a beautiful choice. For couples who are not looking for the most extravagant places to stay, Jaipur and Udaipur has plenty of budget accommodation options as well. Ideal length of stay: Six to seven days. There’s plenty to do and see in and around these two cities, and you should allow yourselves at least two or three days in each, plus one day to travel between them. Kashmir, in the far north of India (and also claimed by Pakistan and partly by China), is one of the most heart-wrenchingly beautiful states in India. The high snow-capped mountains and crystal-clear lakes provide the perfect backdrop for an unforgettable honeymoon experience. 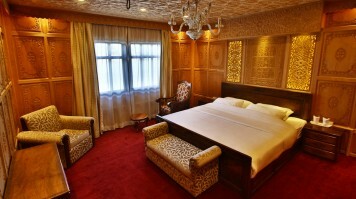 Srinagar is the summer capital of the state and makes a perfect base for newlyweds hoping to explore the area together. Kashmir might be well off the beaten track but maybe the best honeymoon destination in India. Mascot Houseboats. 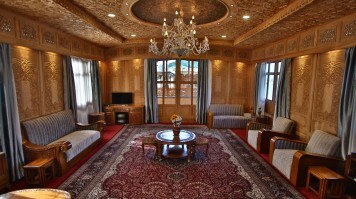 When staying in Srinagar, why not take advantage of the chance to stay on a luxury houseboat moored on a lake? This is a unique and highly romantic form of accommodation that is popular in the city. Try the Mascot Houseboats on Nagin Lake. Chicago Houseboats. Houseboats are also available at lower prices. There are many equally comfortable options, but the Chicago Houseboats on Dal Lake is one of the many good alternatives. If a houseboat is not your idea of a romantic stay, then there are many hotels in Kashmir that range from basic to opulent, to suit your style. 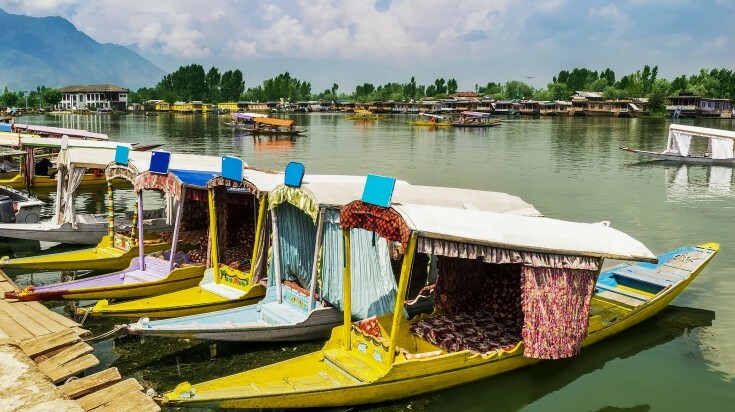 Ideal length of stay: Four to five days for Srinagar alone, but if you plan to see some other parts of Kashmir, allowing yourself around two weeks for the whole trip is ideal. Possibly one of the best honeymoon places in India, the remote and exclusive Lakshadweep Islands located several hundred kilometres off the Keralan coast, will allow you to spend time alone together surrounded by nothing more than sand, sea and palm trees. The uninhabited Bangaram Island provides accommodation for a very limited number of tourists meaning you can share your special time together in almost complete privacy and seclusion. Bangaram Island Resort. This is without doubt one of the best places to stay for honeymooners ion Bangaram Island. The resort is a a secluded collection of 30 comfortable thatched cottages with verandas, providing couples with privacy and required amenities. Agatti Island Beach Resort. Offering a range of accommodation options, from cottages to rooms in all categories, this beach resort in Agatti Island is suitable for honeymooners who would prefer to splurge in perhaps other experiences. Surrounded by lush palm trees, the resort's location on the beach offers guests to enjoy many romantic sunsets and lazy strolls. Ideal length of stay: Five to seven days. Other than eating, swimming, relaxing, diving and enjoying each other’s company, there is little to do on these islands, so a stay of up to around a week would be sufficient. Agra is indisputably one of India’s most renowned and most visited destinations for one reason — the Taj Mahal. Kick off your honeymoon by visiting this monument of love and paying homage to the romantic couple behind it, Mumtaz and Shah Jahan. Follow it up with sightseeing of other remarkable attractions and visits of the bazaars that are almost stuck in the past. Oberoi Amarvilas, Agra. 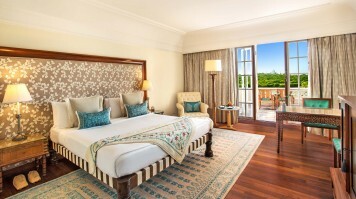 As in Jaipur, the Oberoi Amarvilas is the top hotel in Agra, and if you have no financial constraints, this hotel will offer an unrivalled level of luxury and opulence. However, you will need to book early as it’s not easy to secure a room. Trident Agra. For a taste of luxury but at a fraction of the price, another great option is the Trident Agra. Located only a few kilometres outside of the city, this hotel offers five-star accommodation for under USD 100 (as of February 2019). 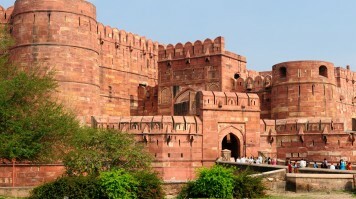 Agra offers an endless range of hotels for its visitors to choose from. Ideal length of stay: Four to five days. Set aside one day to visit the Taj Mahal, one day for the other Agra monuments, one day for Fatehpur Sikri and perhaps another day or two for exploring the city on foot and simply making the most of your time together. This former colonial-era hill station is now one of the most popular destinations in Kerala for local honeymooners. With its vast tea plantations and picturesque scenery as well as the opportunity for plenty of rewarding hikes or a visit to nearby Eravikulam National Park, it could prove to be a memorable destination for newlyweds from outside India too. The Fog Munnar. For a real taste of luxury, stay at the Fog Munnar, where you can pamper yourselves in the spa and take in the spectacular panoramic views. Sceva's Garden Home. For a more budget-friendly option, Sceva’s Garden Home, which occupies a breathtaking hilltop location around 14km from the centre of Munnar town, is a perfect choice. 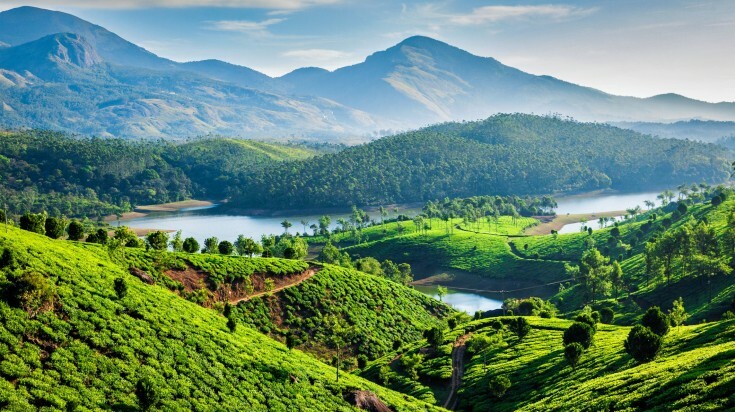 Ideal length of stay: Four to five days, which would be plenty of time to unwind, breathe the mountain air and spend time together in the wonderful Keralan hills. One of the most popular of the hill stations from the colonial period, Darjeeling remains an enticing destination for tourists. With its soaring mountain vistas and world-famous tea plantations, it is also an impossibly romantic place to spend a few days of your honeymoon. Ging Tea House. For a luxurious stay in a hotel full of colonial-era charm that also offers the spectacular views you would expect when staying in Darjeeling, the Ging Tea House is hard to beat. Heyagriva Comfort Homestay. For a homelier feel, choose the Heyagriva Comfort Homestay, which boasts stunning views as well as a welcome that will make you feel like part of the family. Ideal length of stay: Three to five days. 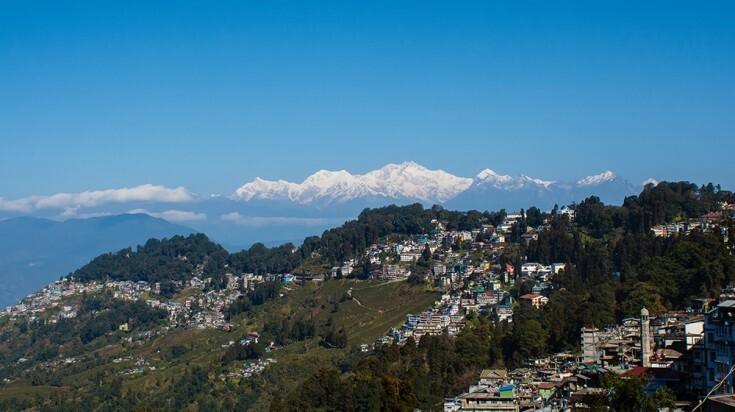 The appeal of Darjeeling is simply the slow pace of life, the stupendous views and the chance to go for walks in the surrounding countryside. Three to five days would be enough to see the area — although you would need to stay longer if you want to attempt one of the multi-day treks. To give you an idea of what’s possible, here is a selection of honeymoon packages in India. 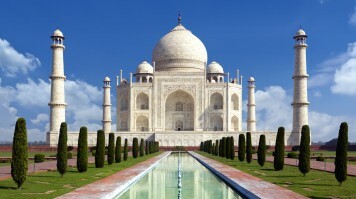 Highlights of North India: Spend your honeymoon discovering the wonders of North India. After a short stay in Delhi, travel to Agra to see the world’s greatest monument to love, the Taj Mahal. Explore other timeless wonders such as Jaipur, Khajuraho, Rishikesh and more on a 12-day trip you will remember for the rest of your lives. 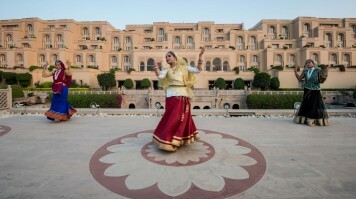 Exotic Rajasthan: Experience the wonder and mystery of Rajasthan on the honeymoon of your dreams. 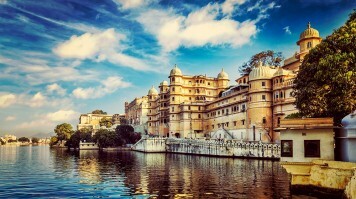 This tour takes in the splendour of all the most famous of the Rajput cities, including Jaipur, Jaisalmer, Jodhpur and, of course, Udaipur — the most romantic of them all. Best of South India: The dreamy and languid south of India is the perfect destination for newlyweds. Highlights include an elephant ride in Mysore, a wildlife safari in Bandipur National Park and a trip up to Munnar, a picturesque and tranquil hill station that has become popular with local honeymooners and international travellers alike. Since you’ll want to spend as much time on your honeymoon together rather than traveling from place to place, it’s advisable to choose one part of the country and stick to it. Remember, India is huge. Even if you stick to one area, traveling between different cities can be time-consuming. Traveling by train can be an experience — even a romantic one — but you might also consider flying between places that are further apart to save time. Indian cities can be a little daunting at first. 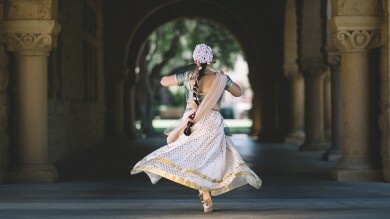 If you have never been to India before and you want to take the hassle and worry out of your honeymoon, you might consider hiring a local guide to show you around. Most of India is still a bit conservative in terms of showing affection and intimacy, and this rings true for everyone, even married couples. Hence, refrain from affectionate displays in public places. 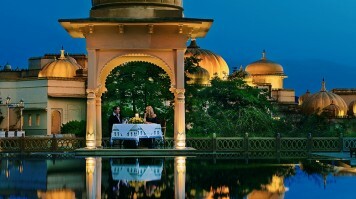 India offers a unique combination of timeless splendour, stunning vistas and a magical atmosphere of pure romance. It is a mysterious land of almost unparalleled wonder, making it the perfect choice of destination for newlyweds to spend those precious first days of married life together.